If you want to buy organic moisturiser online, choose a cream that offers your skin only the best. 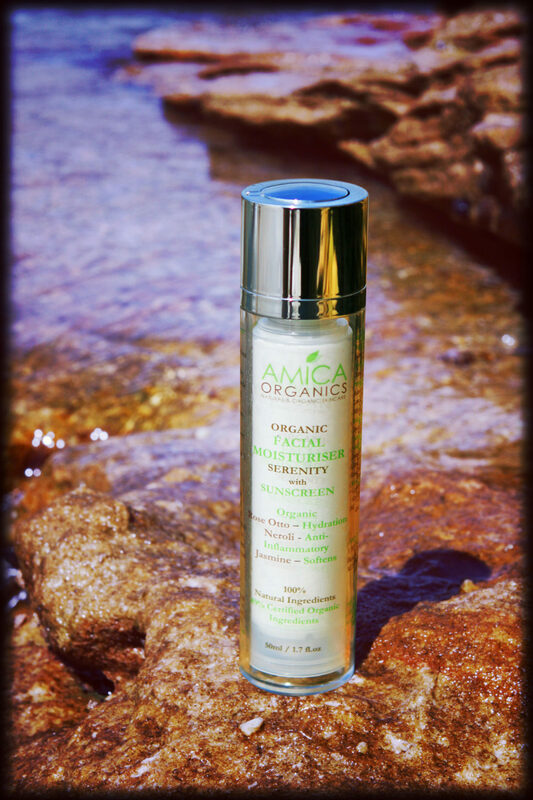 AMICA Organics natural and organic moisturisers will provide your skin with protection, nourishment and help delay your skin’s aging process. Availability: In stock Categories: Moisturiser, Organic Skin Care Products. Tags: best facial moisturiser, best organic facial moisturiser, best organic facial moisturiser in Australia, best organic moisturiser, best organic night cream, buy organic facial moisturiser, buy organic moisturiser online, organic anti-aging moisturiser, organic facial moisturiser, organic moisturiser, organic moisturiser with sunscreen. To protect yourself from the harsh Australian sun, choose an organic moisturiser with sunscreen. The AMICA Organics products are all 100% natural and chemical free, so you can be certain to provide your skin with the nutrients and vitamins it needs. When you are looking for the best organic moisturiser in Australia, try our range of organic skin care and allow our products to care for your skin naturally. Do you want to learn more about how to treat your skin with natural products or do you have any questions about how to buy organic moisturiser online? Then please do not hesitate to contact us now on 02 8005 0695. Calling outside of office hours? No worries, send us your enquiry via our quick and easy online contact form and we will get back to you as soon as possible. The AMICA Organics women’s health blog contains important information and the latest news in organic and natural skin care, so be sure to have a read. Serenity can be used by many with dry, normal or oil skin. The earthy yet sweet aromas of this product best suit a female. SERENITY is not suitable for pregnant women. A new range for pregnant women will be made available in 2013. Apply morning or night after cleansing and before applying makeup. Apply a small amount of SERENITY on finger tips and spread lightly on your skin in circles. You only need to apply a small amount and the moisturizer will spread generously.